Many people seem to think that when you are asked to photograph events that it is glamorous. Unfortunately the reality is something else. 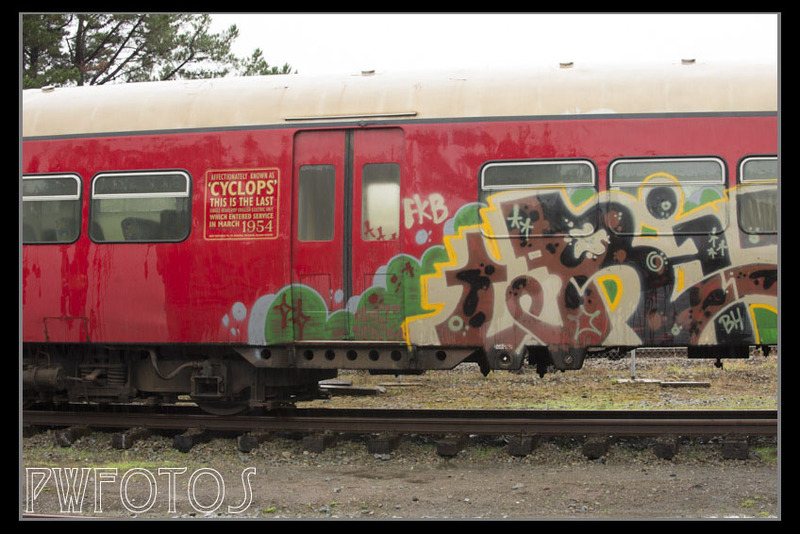 A fellow photographer asked if I would take some photos for the local paper of a train being delivered to its new home. The train is question was an old British Electric Unit that entered service in 1954 on the Wellington commuter service and was finally retired in 2012. It was referred to as the “Cyclops” due to the fact that it has a single large headlight at the front. When it was finally retired it was sold to the Wellington Heritage Electric Multiple Union Trust for the princely sum of $1. 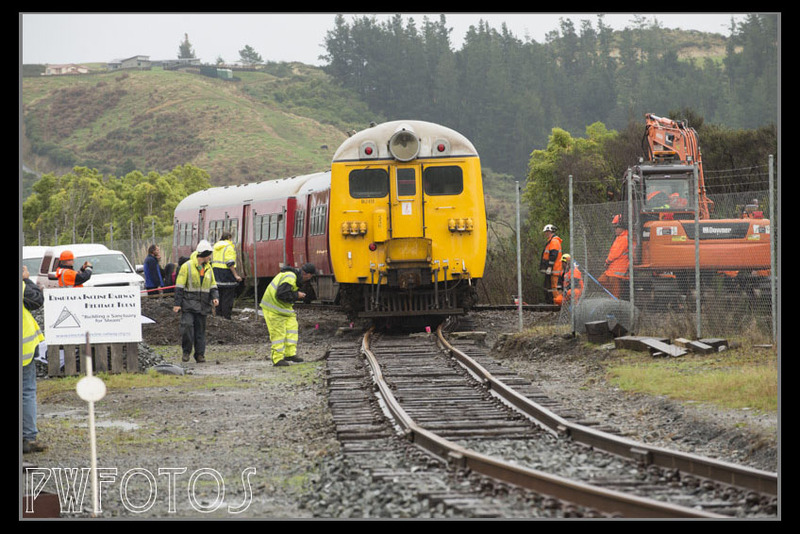 The Trust had arranged with the Rimutaka Incline Rail Trust to store it at their yard in Mangaroa Valley just north of Upper Hutt. 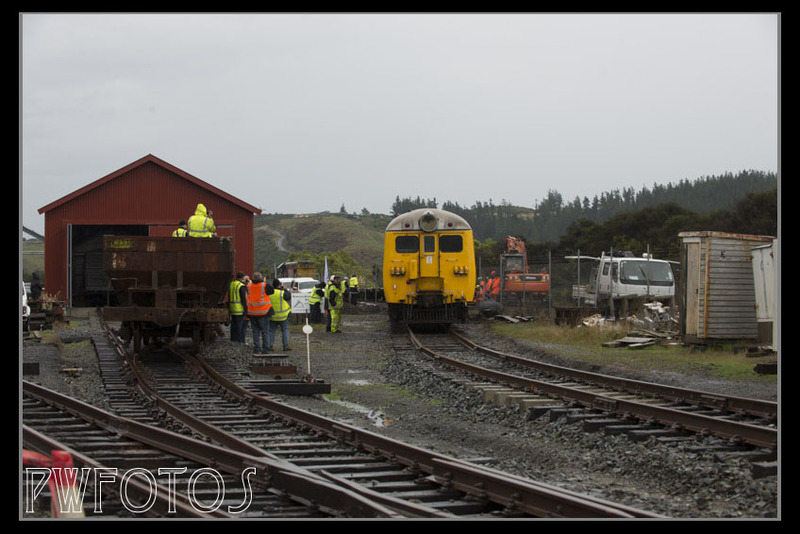 These yards sit alongside the Wellington – Wairarapa rail line. 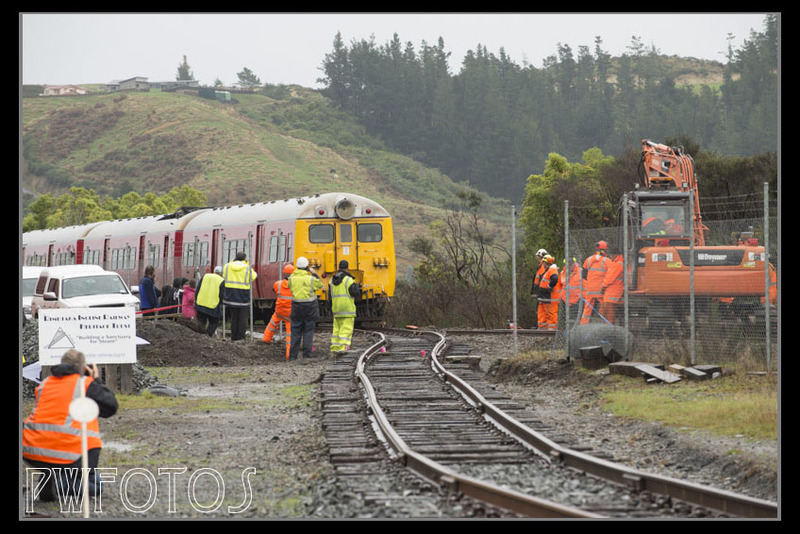 The Greater Wellington Regional Council was sponsoring the cost of towing it from Wellington to Mangaroa and then KiwiRail had provided a crew that would take a section out of the Wairarapa line and then join the siding to it so that the train could be pushed into it. As you can imagine this involved a lot of people and some key timing. 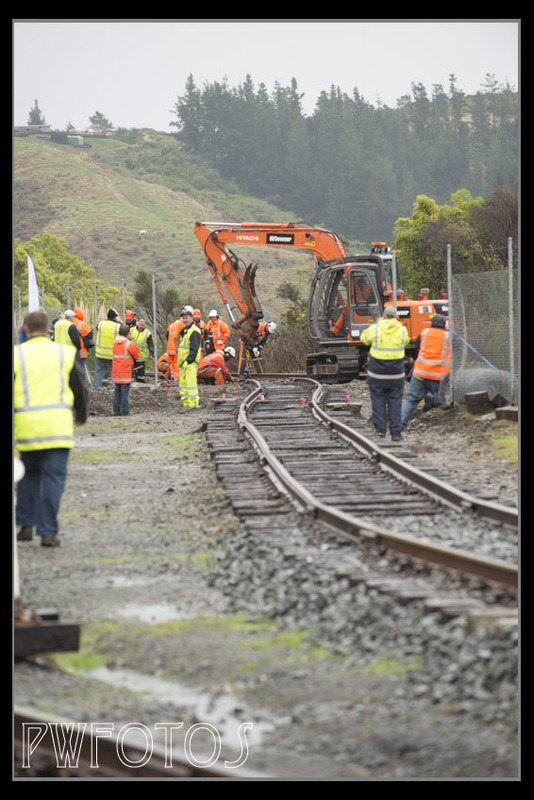 The work could not begin until the scheduled Masterton unit went through not only Mangaroa but in fact was through the entire Rimutaka tunnel. Then the train with the unit would come up the line from Upper Hutt. The loco towing it would be uncoupled and drive further north. The track would be altered and finally the loco attached to the back of the unit would push the unit into the siding. Everyone hoped for a dry day. Instead we got constant rain. Then the Wairarapa unit was running 30 minutes late which made everything late. Fortunately I had a big golf umbrella with me and found someone else who wanted to shelter under it willing to hold it while I got the shots. The camera was in a plastic bag to keep it dry. Not very eloquent but effective. 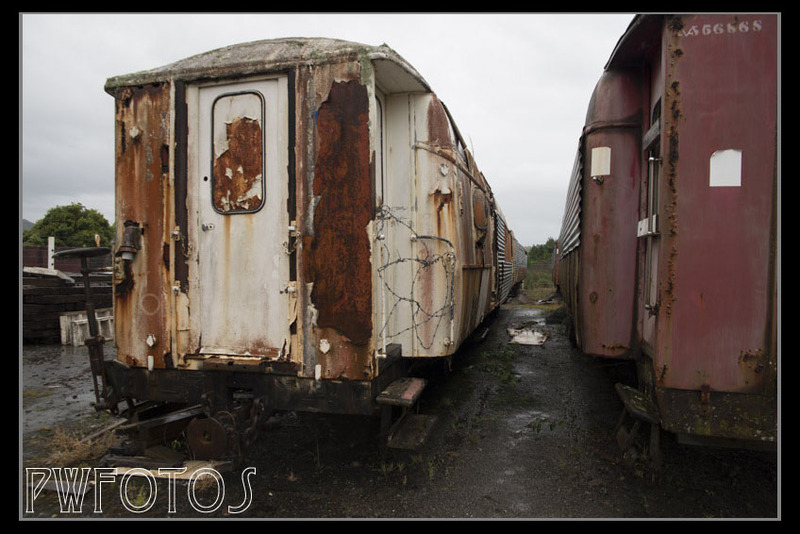 Some of the older carriages on the site. 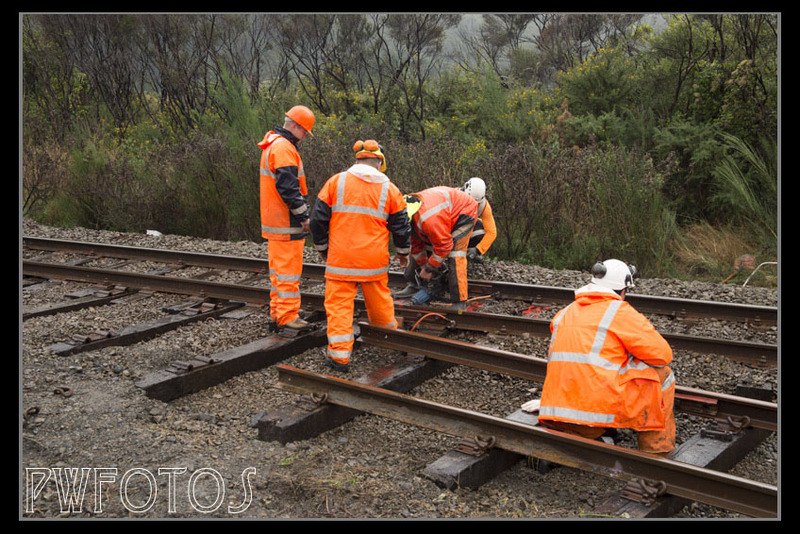 The gang take the existing track apart. Careful checking as it comes into the yard. The sign says original paint job. Not so sure about the graffiti though.